Courtesy of Jonathan H Murray, BH&G Real Estate Big Hill. You do not want to miss out on this 4 bedroom, 1 xBD; bath home. No detail was overlooked in this freshly renovated home. Beautiful refinished hardwood floors throughout. Updated paint, HVAC, water heater, & electric panel, newer vinyl siding. This home is immaculate. 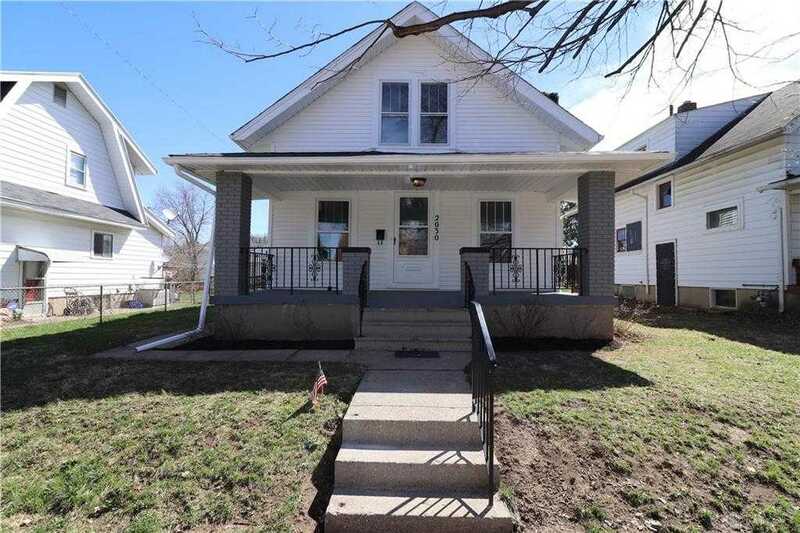 It features a fenced-in yard, detached 1 car garage with alley parking, and a large front porch for sitting. Tons of light in this home and plenty of entertaining space with a dedicated dining room and huge living room. Kitchen has great cabinets, updated appliances, and an adjacent mudroom/storage area. Bedrooms and closet spaces are roomy. The basement has huge potential to be made into your dream space! Houses in this kind of condition do not come along often. Call for a showing today! Directions: Head northwest on Watervliet Ave toward Brookline Ave, Turn right onto Brookline Ave. The home is located on the right. Please, send me more information on this property: MLS# 788006 – $105,000 – 2030 Brookline Avenue, Dayton, OH 45420. I would like to schedule a private showing for this property: MLS# 788006 – $105,000 – 2030 Brookline Avenue, Dayton, OH 45420.